Dr. Rich was introduced to chiropractic in high school as a wrestler for Goddard High School. One season, however, he started having trouble with his knees. A medical doctor told him, “If you keep wrestling, then you will eventually need surgery on your knees.” This is not what anyone wants to hear at 17 years old. Thankfully, a wrestling teammate recommended Dr. Rich try seeing a chiropractor first. Dr. Rich began talking to his chiropractor about entering the field of chiropractic. He ended up mentoring Dr. Rich throughout his whole application process and through school. “By talking with my chiropractor, I found I really had a love for chiropractic,” says Dr. Rich. 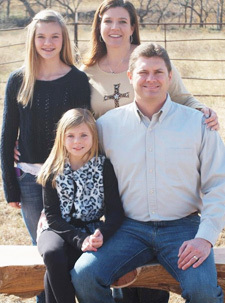 When Dr. Rich graduated Goddard High School, he worked at several different chiropractors’ offices. He then went to Texas Tech University and New Mexico State University where he pursued his Bachelor of Science degree. 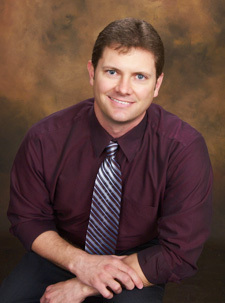 In 2005, he went on to Parker College of Chiropractic in Dallas, Texas, graduating in 2009. Dr. Rich still follows this mission he started out with. Today, Premier Chiropractic continues to focus on family wellness, pediatric chiropractic and prenatal care. Other than enjoying his career, Dr. Rich loves to spend time with his wife and family as well as being an active member of his community. Dr. Rich has two daughters, Emilee, 16, and Georgia, 12. Emilee plays softball for Goddard High School, and Georgia is involved with a local theater group and looking forward to seventh grade when she can join the cheerleading and volleyball teams. Let Dr. Rich Get to Know You! Call us to schedule a consultation for you and your family today. Dr. Rich would love to meet you and discuss your family’s health with you!